We're on the road again- singing [or rather weaving] for our supper. 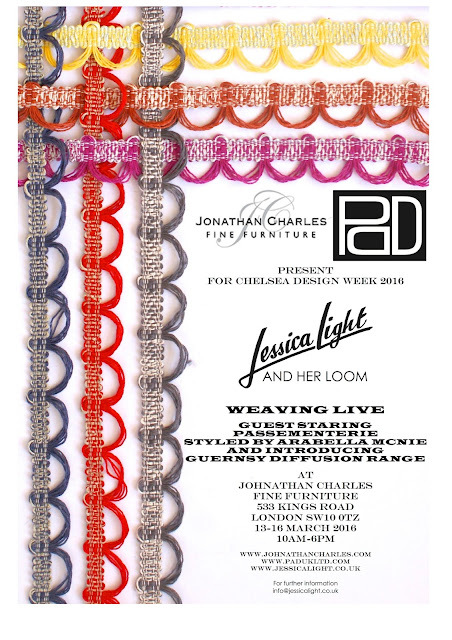 The loom and I are doing a four day residency at Jonathan Charles during Chelsea Design Week. We will be presenting our new diffusion range, Guernsey, as well as showcasing our passementerie styled by top-end bed-ware company Pad UK.